Are you planning to design your house? Planning it to do it yourself rather than going for an interior designer? The task can be tough without the help of software to get your imagination visualized on a 3D diagram. Room planner software is basically designed to get your things faster while designing your room or house. 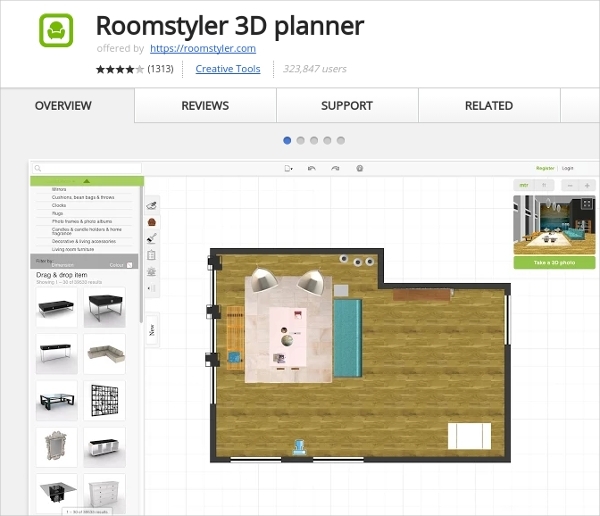 3D Room Planning software from RoomStyler is built with simplicity to offer you a web based GUI to plan your room. You can import the picture of your room to build on it or start completely new from scratch. Key features include furniture, lightings, and materials. This 3D room planning software from RoomSketcher is web based software. Offering you rich features for planning your room. You can import an image of your room or build from scratch. The key feature includes windows, materials, and furniture. 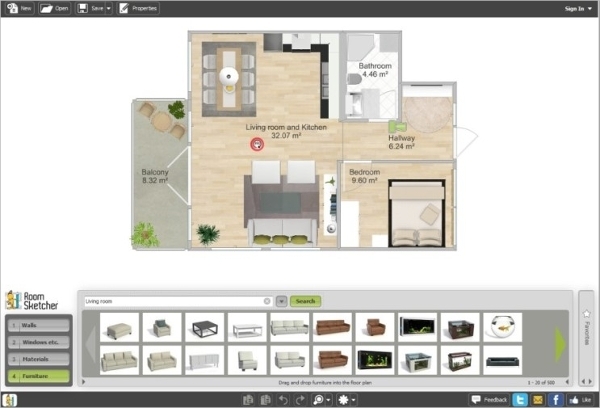 This 3D room planning software is available from chrome store for use. 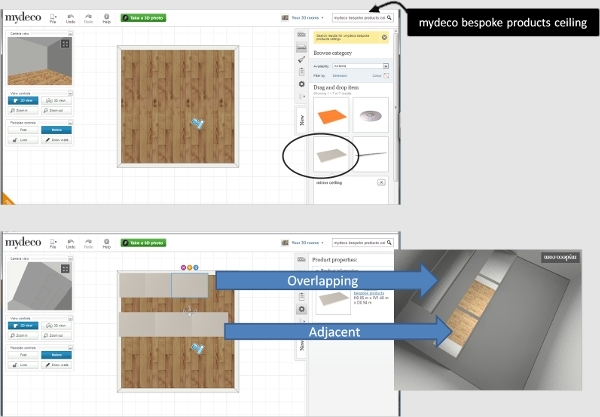 Built with simplicity, this software offers a wide range of furniture templates, a community of like-minded enthusiasts to help you with the software. The software is free for use. Havertys 3D room planner is the 3D room planner software built specifically for Mac platform users. Upload you own room photo or select from a huge library of the software and start building your imagination. Huge list of furniture models in 3D is available to help you get the best. 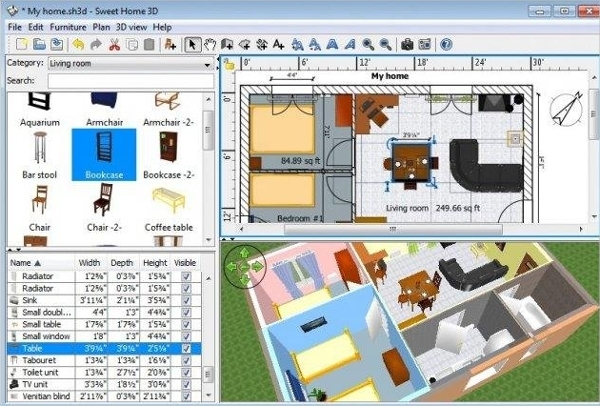 Sweet Home 3D is the 3D room planning software specifically designed for Windows platform users. The key feature includes drag-and-drop design for windows, doors and furniture template usage, update color, texture, orientation and size instantly. The software is available for free for use. HomeStyler interior design is the software specifically built for Android platform. 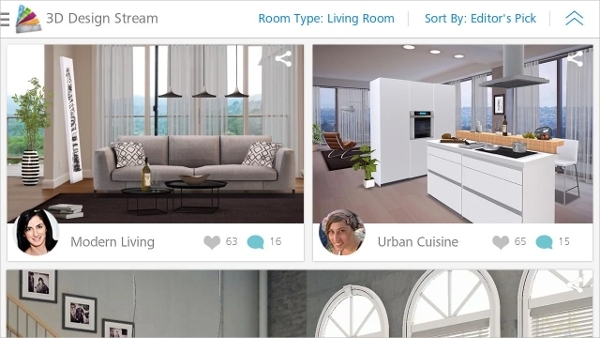 The software is designed for a touch interface and has a long list of furniture models built in. You can also hang light fixture from the ceiling. The software is available for free use on Google play store. 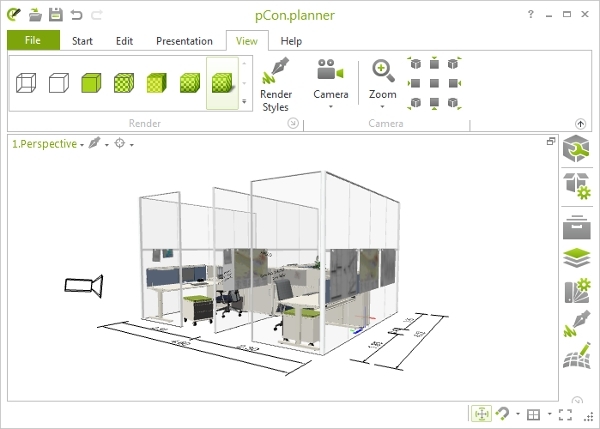 How to Install 3D Room Planner? 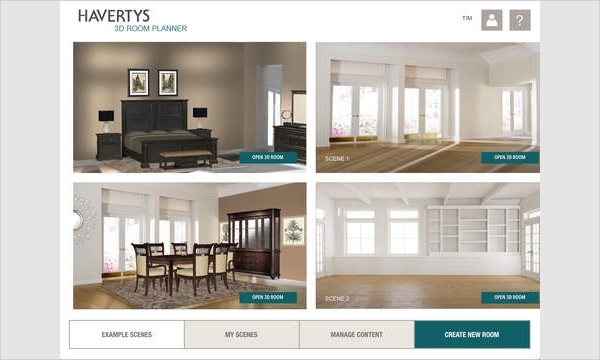 Room planner software is basically designed to help you design your room faster, with professional interior designer looks. You can expect a long list of available models of furniture, doors, and windows in the room planner software. All the above listed are free of cost, the preference of one over another is just based on your experience on the software.